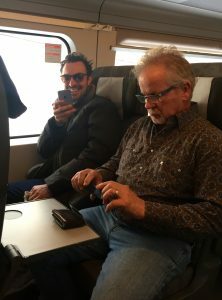 Just enjoying a few days at home after a two-week tour in Norway with the rest of the Foghorn Stringband, and our good pals, the Cajuns: Jesse Lege and Joel Savoy, together forming one of the many iterations of the Cajun Country Revival. Joel is from Eunice, LA, and Jesse is from not too far away Gueydan, LA, both from the heart of Cajun music country. For those of you who don’t know, the Cajun Country Revival was formed out of a spontaneous meeting at KEXP in Seattle years ago when the Caleb Klauder Country Band (Caleb Klauder, Jesse Emerson, Paul Brainard, Sammy Lind, Ned Folkerth) and Joel and Jesse shared a session on the radio. Later that evening at the show they had so much fun playing together that they decided to make a recording of this collaboration, called the Right Combination, which featured the Caleb Klauder Band, (plus Nadine, minus Jesse Emerson), along with Jesse and Joel. The idea behind it was to again bring together two musics that have long mingled and crossed over. It was modern in the sense that Caleb’s songwriting is new, not to mention Jesse Lege’s own original tunes, but also was very traditional with Jesse and Joel’s arresting versions of old Cajun dancehall tunes. When you listen back to recordings from the golden era of country music, you’ll hear much cajun influence there. And visa versa too. Songs have been translated from French to English, or English to French over the years. Many great players from Louisiana, are heard on the recordings of country greats. Half a year ago or more, the Cajun Country Revival was hired to play a new festival in Oslo called Riksscenen Festival. In recent years, the band has been comprised more often than not of Joel and Jesse, and some or all members of the Foghorn Stringband. And thus, Foghorn was also hired to play a set there. 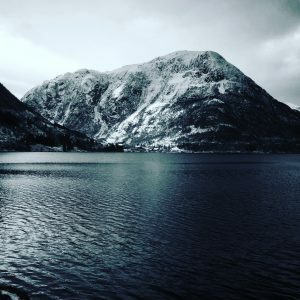 So we booked a few more gigs around Norway to make a tour out of it, traveling out west to Bergen, and also to Rauland, in the mountains in south central Norway. 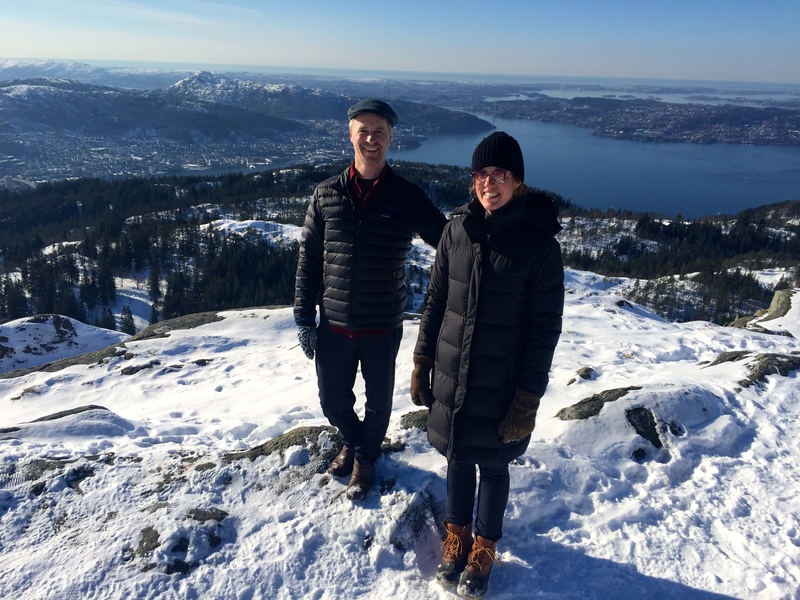 The tour began when we arrived in Oslo Feb 28. We all had a night’s rest before starting the tour… well sort of… it’s hard to get a night’s rest the first night no matter how many hours/days it took you to get there. At least when you’re meeting up with old pals you haven’t seen in awhile. Caleb and I arrived first, then Sammy, Nadine, & Jesse. Joel was supposed to be there too, but his flights had been delayed from Amsterdam. We rested at our friend Olav’s apartment, waiting for news from Joel, catching up, napping, drinking coffee. When it was time to eat, we ventured out into the city, walking across town, through a biting cold wind, to eat at a seafood market. 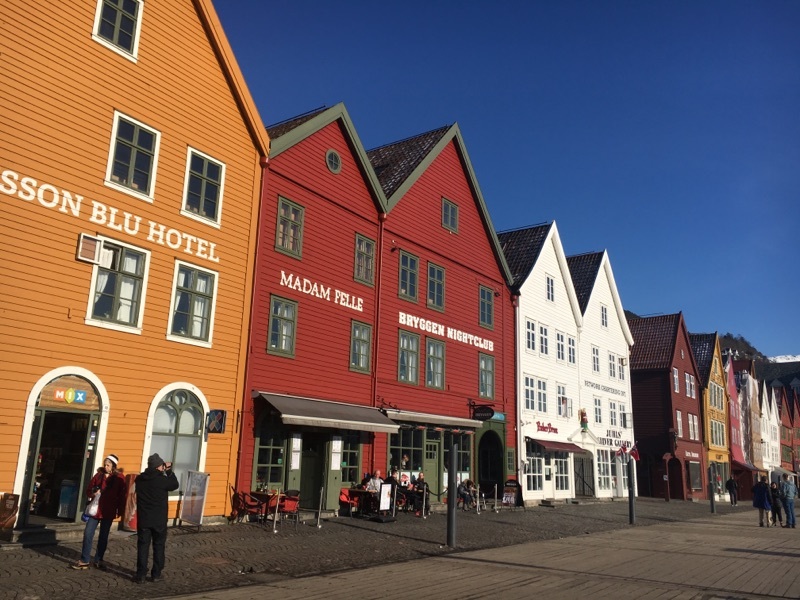 We got our first taste of Norway, fresh seafood soup, rye breads, and lovely seafood dishes. Of course we also learned how the American dollar doesn’t hold up terribly well to the Norwegian crown, but we won’t dwell on that too long! It was all very comforting after long travel and wintery temperatures. We walked home on full bellies, and went to a bar to await Joel, knowing he would need some festivity to revive his spirits. He was quite travel weary upon arrival, so we ordered him the strongest drink in the house, some sort of herbal liqueur… a gingery thing that was very invigorating! It revived Joel, and also kept us all up long enough to practice our time zone changing strategy of staying up late in the new time zone, and then sleeping through the night until, bam!, you magically trick your mind into being in the new time zone as if it you’d been in that time zone all your life. No big deal… sleep when it’s nighttime, and it will be morning when it’s morning. That’s just how it is. We awoke the next morning revived and refreshed and ready for the infamous train ride to Bergen. 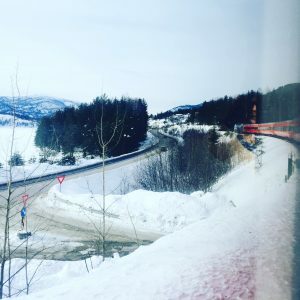 We’d all been told this was incredible, and when we were studying up on Norway, this very train ride was listed as one of the top ten things to do there. So we were feeling pretty pleased that not only were we going to do this, but that it happened to be our commute to work. We all made it to the train station in time to pick up some snacks for the seven hour ride, knowing hunger would visit us, and that a little bit of cheese, a rye cracker, a sliced apple, was just the thing. The trip was all that it was cracked up to be. Even in the wintertime. We could only imagine what it would have been like in summer. Snow-covered landscapes would be green and bursting. Trees and pastures vibrant. Frozen rivers and lakes rushing and blue. Wintered cabins opened up and filled with life. But there was something so serene about the snow. Clean, white, lonesome. The train went on and on, stopping every so often in a quiet mountain town. 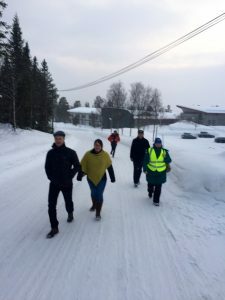 It seemed that every good Norwegian was walking about with a set of cross country skis. Standard issue. It is admirable that they love nature and the outdoors so much. One would suffer terribly in a place with such extensive winters if one didn’t embrace the outdoors. In fact, I will just go ahead and say that people everywhere suffer terribly when they don’t go enjoy the outdoors… y’all get outside! 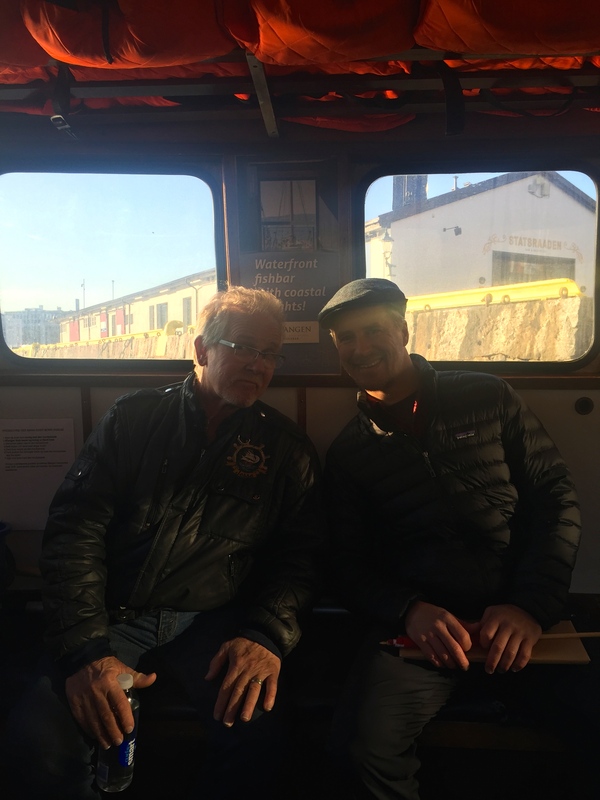 We arrived in Bergen that evening, and taxied to our hotel. Out to dinner to a seafood market, and we got filled up on beautiful fresh fishes. Everything from mussels and scallops to urchin and haddock. The next day we went to work. 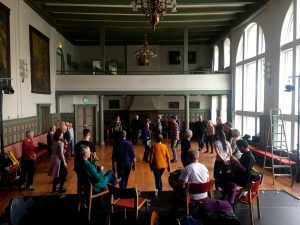 Our host and promoter, Gabriel, founder of Columbi Egg, a folk music series, met us and escorted us across the city to Gimle, an elegant hall upstairs in an old building. The hall had high ceilings, a fireplace, huge windows looking out to the mountain, a cozy stage, and three large romantic paintings hung high on the wall. One painting had Lady Norway, looking very sad, lamenting the loss of Norwegian independence to Denmark. Another had a depiction of three of Norway’s great fiddlers. The three were sitting beneath a large tree in a pasture, each holding their fiddle, and dressed finely. 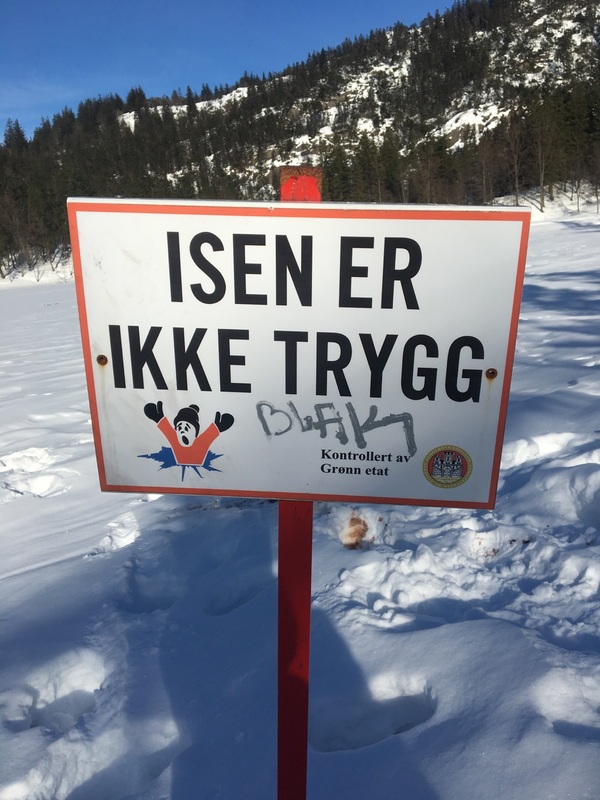 The last of the three paintings was a depiction of Ivar Aasen, (if I’m remembering correctly), a self-taught linguist, who walked all over Norway collecting words, and creating a written language for Norway, reviving what had been overtaken by the Danish language. 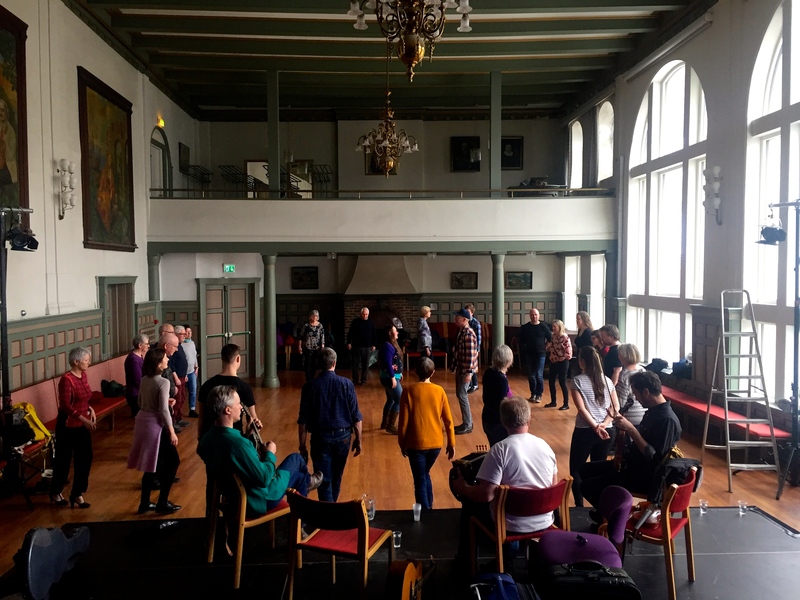 We taught a workshop that afternoon to the folk dance club of Bergen. We taught cajun dancing; waltz and two-step. Jesse talked about how in the old dance halls, everyone would dance around the room in a big circle, moving the ladies around the room, and in the middle couples could step in and out to do “fancy dancing”. They could go in for more space and do their moves. Then step into the circle again. We returned to give a concert that evening. The concert began with a performance by a local group of fiddlers. They all played hardanger fiddle, which for those who don’t know, is a traditional Scandinavian fiddle that has 8 strings. 4 are tuned like a regular fiddle, and are noted and bowed. The other four are below, and are sympathetic strings, vibrating and droning along. The hall was filled with their beautiful tunes. Something grand about so many fiddles playing together all at once. It was choral in a way, and reverberated through the hall. Cajun Country Revival followed with a concert and then the chairs were cleared away for a dance. We traded sets with the hardanger fiddlers, and the dancers traded off with traditional Norwegian couple dancing, and Cajun dancing. Sammy, Caleb, and Joel even took turns on the hardanger fiddles! 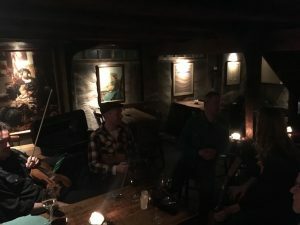 At the end of the night we, along with the hardanger fiddlers, walked through the narrow cobblestone streets to the oldest bar in Norway, and visited and played a few tunes til late. 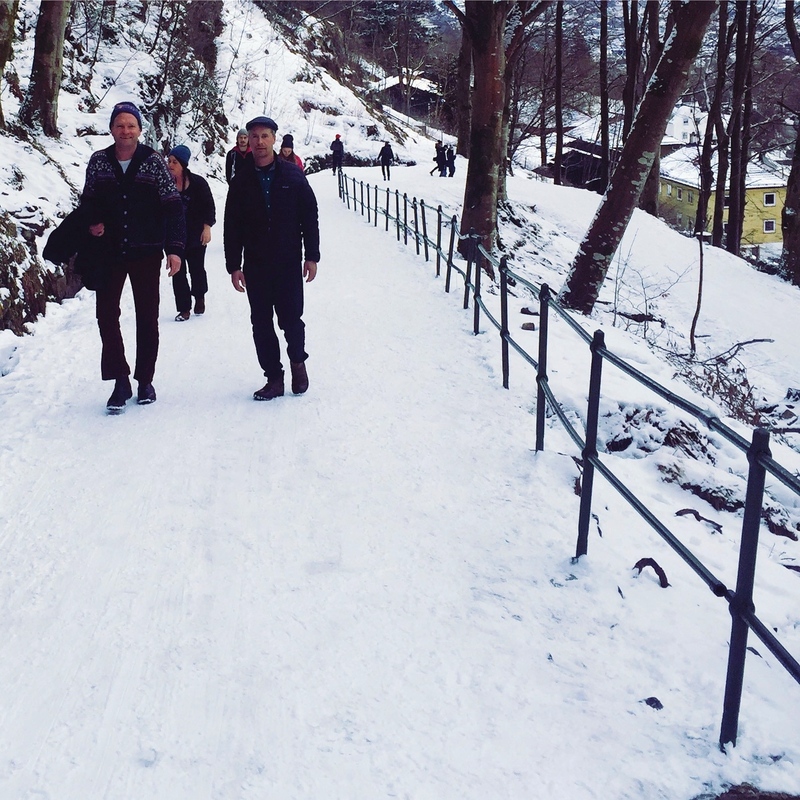 Then we went on a walk up the mountain behind Bergen. 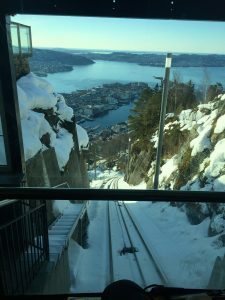 There is a tram that goes up the mountain, but there is also a walking trail. Up up up into the snow we went. 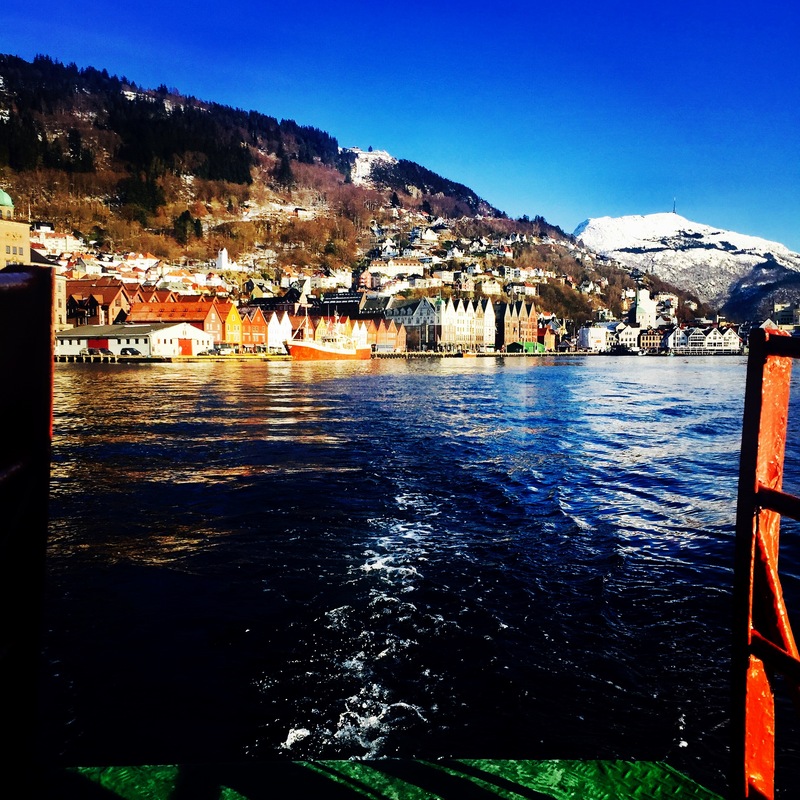 I guess that Bergen is one of the rainiest places… kind of like Seattle. 250 days a year of rain. So the fact that it had snowed and was cold and sunny was quite unusual. The city was out en mass, schlepping skis to the top of the mountain and taking off on the many trails out into the wilds from there. We did not have skis, and apparently it is impossible to rent skis in Bergen. 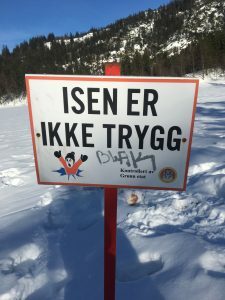 Probably because every proper Norwegian owns their own, so why would there be need for a rental place? We had to be satisfied with walking. Bergen is on a fjord, and the view of the inland waterways reminded us of the Pacific Northwest. 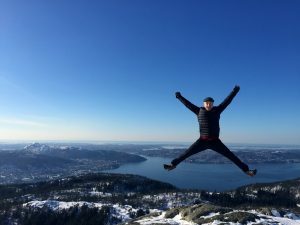 It’s no wonder that Seattle is Bergen’s sister city. 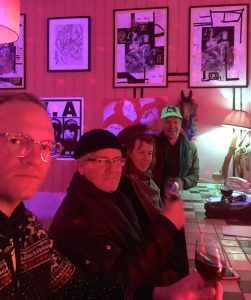 We all met up that night at the oldest bar again, and played tunes just for fun, our Sunday night tradition, missing the Moon and Sixpence in Portland. Monday we had the day to look around the city, and climb the mountain again. Caleb and I went on a long hike up to the top of the mountain, way up in the snowy wonderland. I was so impressed at the number of Norwegians out for a walk up there. I can’t think of another place where I would be hiking on a snowy mountaintop where there not only was a nice trail packed down by all the walkers, but also where I would see such a number of people of all ages out walking. There were many older people, taking their time and enjoying nature. Even an old lady in a cast.. she looked to be about 80, was out by herself on the snowy mountain trail. That night Foghorn Stringband played a concert in a lovely room at Hotel Augustin as part of the Columbi Egg series. We let the Cajuns join us for a few tunes, and I think the music went over well to that warm and appreciative audience. Tuesday was another day off. We aren’t too accustomed to having days off while on tour, so despite feeling a little stir crazy we made the most of it going walking up the mountain again, and then meeting up at night for dinner at Doktor Weisenors, a pub that let us in to play a session, organized by Gabriel. The bar owner welcomed us with open arms, thrilled that we wanted to play for his patrons. This was all we needed to put on a good show… just a little welcoming and enthusiasm. We had intended just to sit in the corner and play a session, but the bar owner had cleared a space in the middle of the room, and it ended up being more like a performance, though casual. We played for several hours, people danced, and some of the locals got up and sang a song or played accordion with us. One man, named Bjorn, and his girlfriend Ana were amazing yodelers, and they sang some Hank Williams songs and yodeled like nobody’s business. The next morning was an early one. 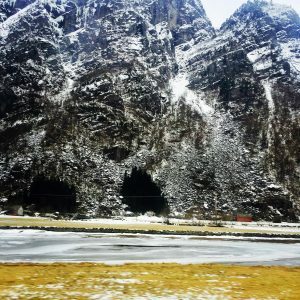 We roused ourselves for the bus ride to Rauland, a small village in the center of Norway. As impressive and scenic as the train ride to Bergen was, this bus ride was every bit as scenic! 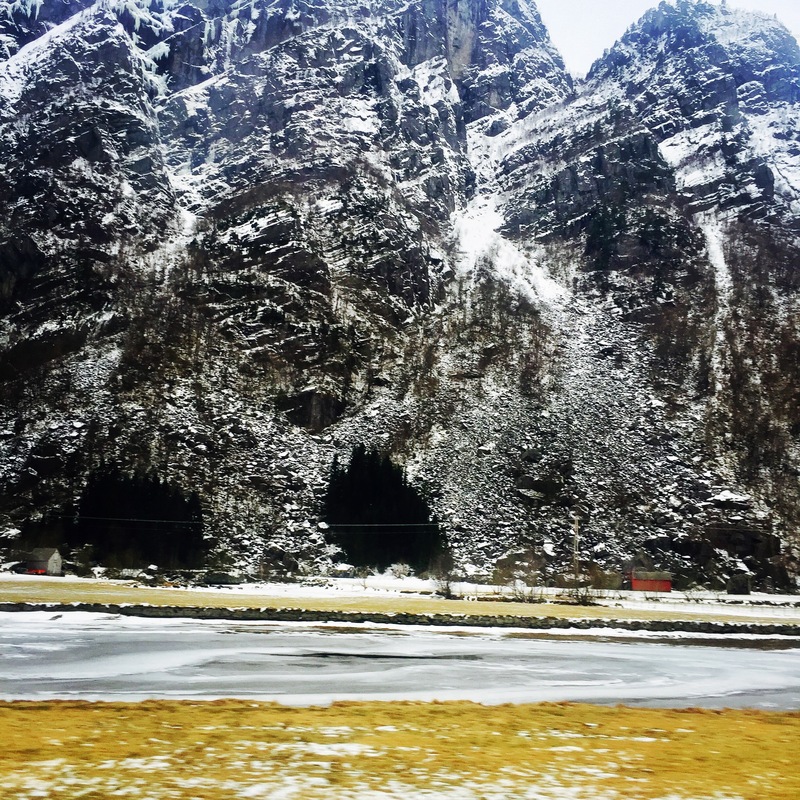 We went from fjord to fjord, valley to valley through a series of winding roads and tunnels. Some of these tunnels were quite long, straight through mountains. Caleb became fascinated with filming our trips through the tunnels, and one was 9 minutes long. (I’m sure these will be super entertaining to watch later!) 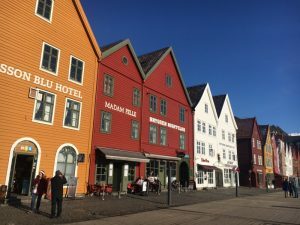 We’d pop out the other side into a vast fjord valley, sheer walls of mountains going up up up, and in the small valleys, quaint little fishing villages. 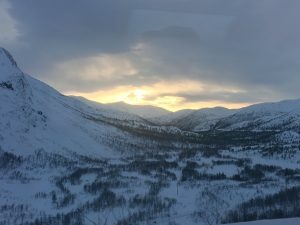 Sometimes the road was going along with sheer drops below, and at times it was white knuckles as these bus drivers were fearless, flying down snow and ice covered roads at a good clip. The last part of the drive we were in pure whiteout, snow falling and wind and fog making the sky indistinguishable from the land. Needless to say, I could fully relax when we arrived safely. As Caleb observed, each driver carried a leather bag with all the tools of the trade contained within. The bags were very worn with a nice patina, indicating that they’d been at it awhile. Many a snowy winter behind them. Our Canadian friend Robbie and his friend David met us all at the bus station. We drove 17km to Rauland, the home of the University of Norway Folk School. Here students come to learn all sorts of folk arts from music to carpentry and blacksmithing and sewing. The music program is quite impressive, and we were hired to teach workshops and give a concert over a two day period. 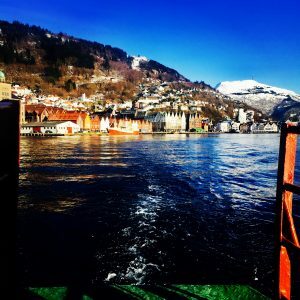 To Norwegians, education is a universal right, and so education is available to all who want it. I can’t help but think that it can only be a strength to a society to make education so accessible. The snow in Rauland was piled high, several feet atop each roofline. And it was quiet there compared to the bustle of Bergen. The school had a pile of skis to lend, and we took advantage of this. The ski trail system was walking distance from the school, and we clipped in and off we went for a few hours along beautiful freshly groomed trails. In Norway, trails like these are everywhere! Miles and miles as far as you’d ever want to go. Our concert that night was given in a historical reproduction of a traditional Norwegian house. The house was of log construction, and would have had an open fire pit in the middle of the room, with a hole in the ceiling for smoke and light. This house of course lacked the fire pit, and there was a skylight where the ceiling hole would have been. But all the same it was cozy, and the wooden walls gave a good sound. We played acoustic with no mics. The house was filled to standing room only, and we gave a dynamic set playing all together as a whole band, the Cajun Country Revival, and breaking it down into duos, trios, Foghorn numbers and building it back into a whole band. After the concert we went next door to a cozy pub, and watched a beautiful scene unfold. Solo fiddlers took turns playing hardanger for set dances in a big dimly lit wooden room lined with long benches. Others nestled into corners to visit with their friends. It was a fun evening. The next day the workshop was well attended. We gave one altogether as a group, talking about cajun music and old time music, and teaching tunes to the students, who were very adept and learned quickly. That evening we trekked through the snow to a community house where there was a traditional tune swap all with hardanger fiddles, several of which were lent to all of us to attempt to play along! Then we trekked further through the snow to Robbie’s cabin for a cozy little visit before bed. The night walk through the snow was magical, puffy piles mounded up along the roadway and into the woods. 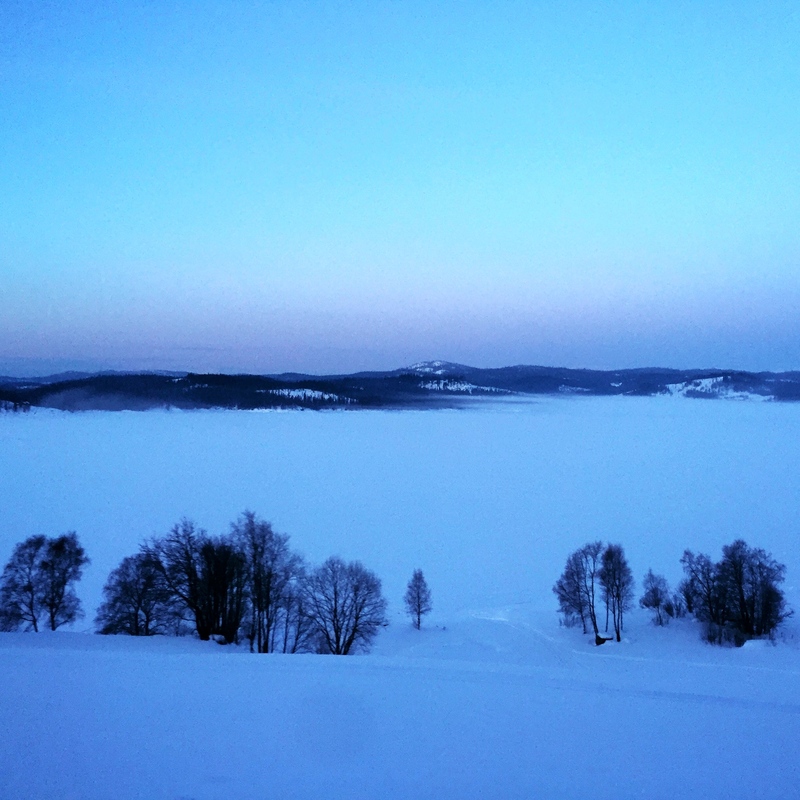 Next day we had a very early bus ride to Oslo, or at least Foghorn did. Jesse and Joel got to sleep in. Foghorn had an early soundcheck for our set that night so caught the early bus. We arrived in time to check in to the hotel and get our bearings. The festival was a two day event held at Riksscenen, in the Grønland neighborhood of Oslo. Both evenings showcased three bands, some local and some from abroad. Foghorn would headline that night, and Cajun Country the next. We also taught workshops during the day. We had a great time and the venue was full both nights. Folks stayed and played sessions in the bar after, and it seemed like the first year was a success! Hopefully they will keep on doing it for years to come. Thanks to Heinrich and Asgaut for making us so welcome and well cared for. Caleb and I returned to Portland for other gigs. As usual it was a fun collaboration, and I never take it for granted getting to play music with Jesse and Joel. 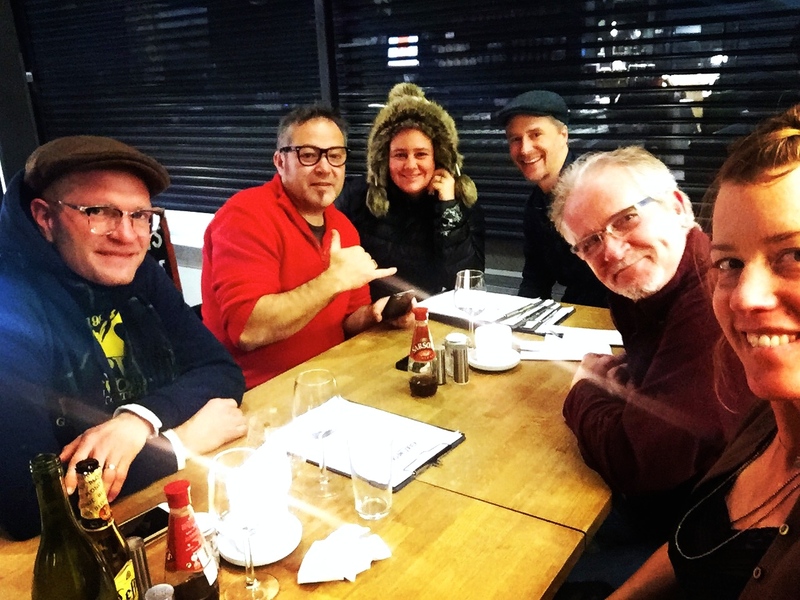 They are such amazing musicians, each in his own rite, and I love the chance to collaborate with them. Foghorn Stringband reconvenes March 30 in Alaska for our April tour! We start the tour in Anchorage, Palmer, and Homer, then head toward SE Alaska: Seward, Petersburg, Haines, and ending in Juneau at the formidable Alaska Folk Festival. Can’t wait!